One of the best parts about staying in a Smoky Mountain cabin is the gorgeous views they offer. The Smokies are beautiful all throughout the year, but there is something special about seeing them blanketed in a white snow during the winter. You can admire the scenery through the glass windows from the comfort of your cabin, or as you relax on your deck outside! Regardless of where you enjoy the views, one thing is for sure: the Smoky Mountains are picture-perfect. When you stay in a cabin, there are plenty of ways to keep you warm. Nothing feels better after a busy day exploring the area than curling up in front of the fire with a mug of hot chocolate. For even more relaxation, soak in the bubbling outdoor hot tub and keep warm as you take in the views around you. Some cabins even come with their own outdoor fire pits so you can bundle up and roast marshmallows as you gather around the fire to stay warm. Another great reason to stay in a Smoky Mountain cabin for your winter vacation is because of its location. Cabins put you far enough away from town to enjoy some peace and quiet, but are still just a short drive from all the fun winter activities. One of the most popular things to do in the winter is visit ​Ober Gatlinburg​ and hit the slopes! 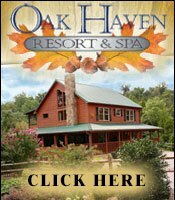 Ober Gatlinburg offers skiing, snowboarding, and snow tubing for visitors to enjoy. There are also a number of other fun activities to enjoy at the park, like indoor ice skating, ice bumper cars, a mountain coaster, and more! Other popular things to do during the winter are celebrate the holidays with the Winter Magic Trolley Ride of Lights, attend a Christmas event like ​Dollywood&apos;s Smoky Mountain Christmas​, or take in views of the Smokies from 400 feet in the air at the ​Gatlinburg Space Needle​! When you&apos;re planning a winter vacation, you want to choose a place that won&apos;t break the bank. That&apos;s why a cabin is perfect! 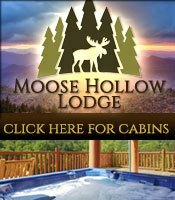 Not only are cabins affordable, but they come with a variety of amenities that help you save even more on your stay. Make use of the fully equipped kitchen to cook meals instead of dining out every night, enjoy in-cabin entertainment instead of spending all your money on attractions, and take advantage of cabin specials! 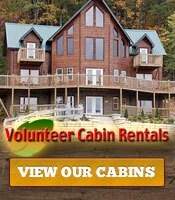 Most cabin companies offer a variety of specials that provide discounts on your stay. These are just 4 of the many reasons to stay in a Smoky Mountain cabin for your winter vacation. 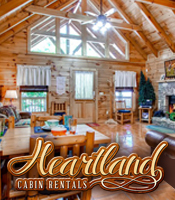 Browse some of the best ​cabin rentals​ and start planning your winter trip today!